As Americans we don’t have a Buckingham Palace or royal gardens, Democracy and the Boston Tea Party I’m sure have a little bit to do with that. I guess you could say that the White House is our equivalent to something like our friends across the pond have. But the truth is that all over Europe, Asia, and South America you can find castles. Here in the US, The Biltmore is probably the closest thing we have! The grounds are just as impressive as the home itself, both full of rich history that intertwines with local culture and the American story. The home of George and Edith Vanderbilt is a testament to the families wealth and elegant legacy and is still as breathtakingly magnificent today as it was more than a century ago when it was built. 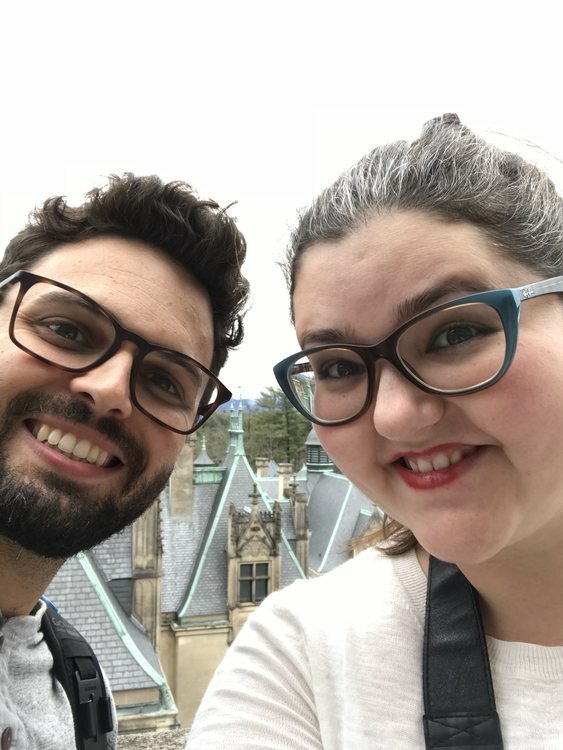 We made our way over to Biltmore for a full day of exploring. And I for one was excited to finally be able to visit the house I had heard so much about. 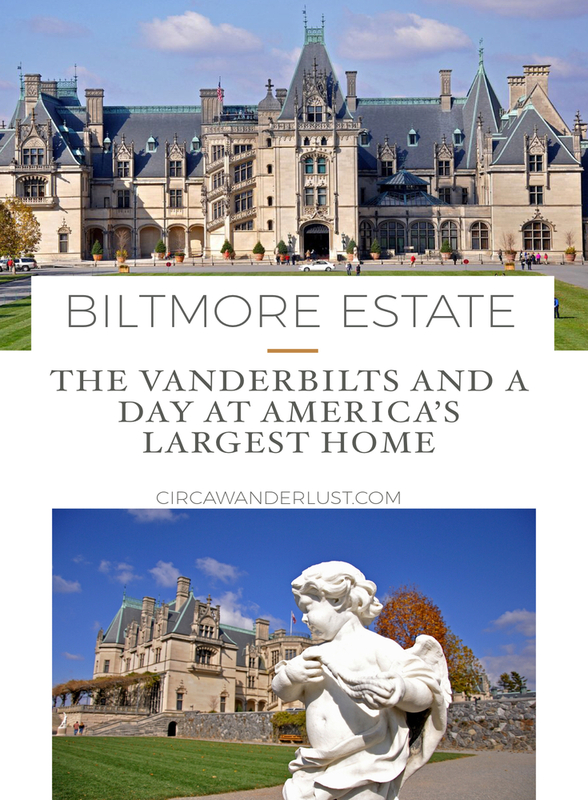 I had been doing my research on Biltmore long before Tim and I decided to plan a visit. When it came time for a fun Valentine’s Day adventure it was an easy choice! 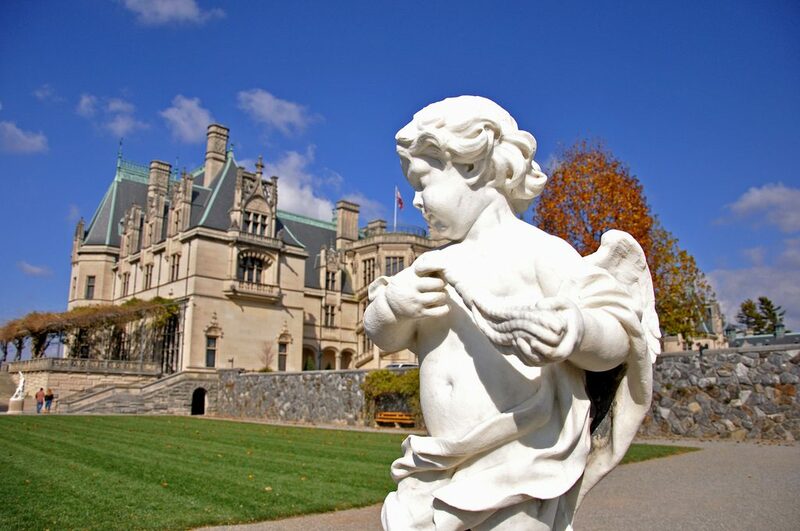 Biltmore Estate is quite an impressive site, owning all of the luxurious elements of America’s Gilded Age. The house’s story starts long before its construction and starts with famed industrialist and philanthropist Cornelius Vanderbilt who left his wealth to his son and grandsons. 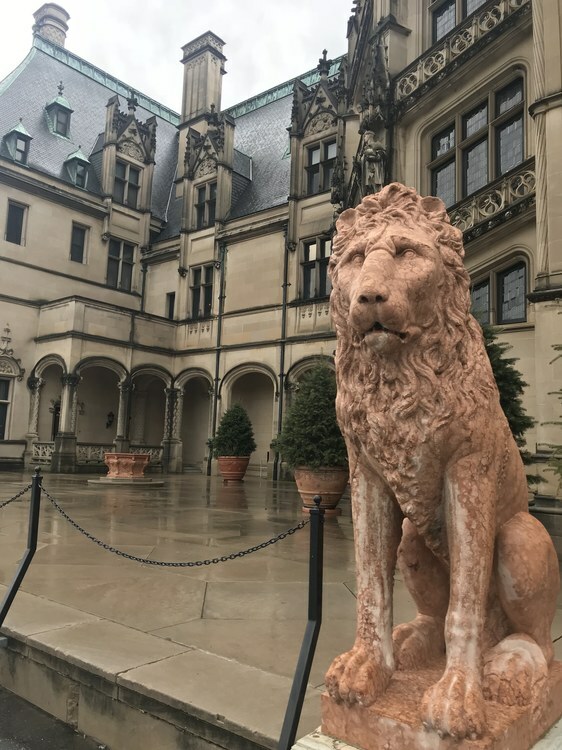 Today Biltmore is the largest private residence in the United States but when George Vanderbilt (Cornelius’ grandson) started construction in 1889 it was merely a bachelors weekend cottage with only 250 rooms. 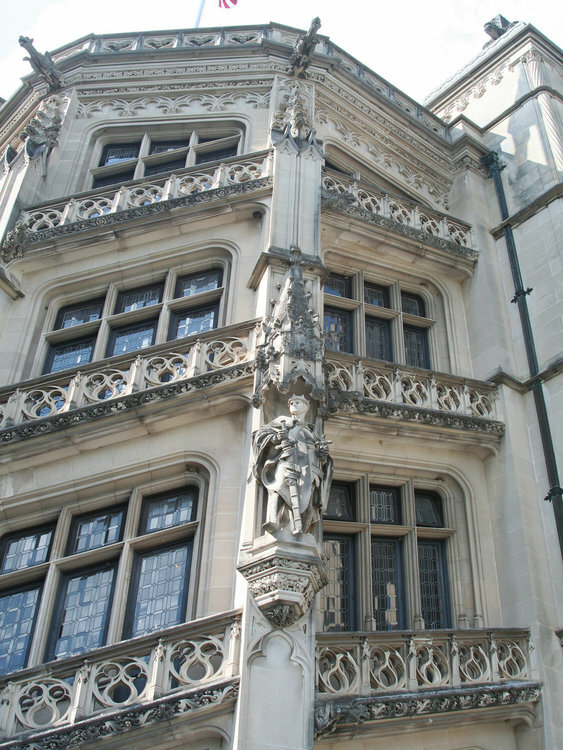 Vanderbilt’s French Renaissance chateau is a sight to be seen as the largest undertaking in residential architecture. Over a six-year period, the house was built requiring an entire community of craftsmen to come together to create the stunning home and environmental wonderland that surrounds it. So large was the project that it required its own onsite brick making facility and railroad to bring materials to the site. 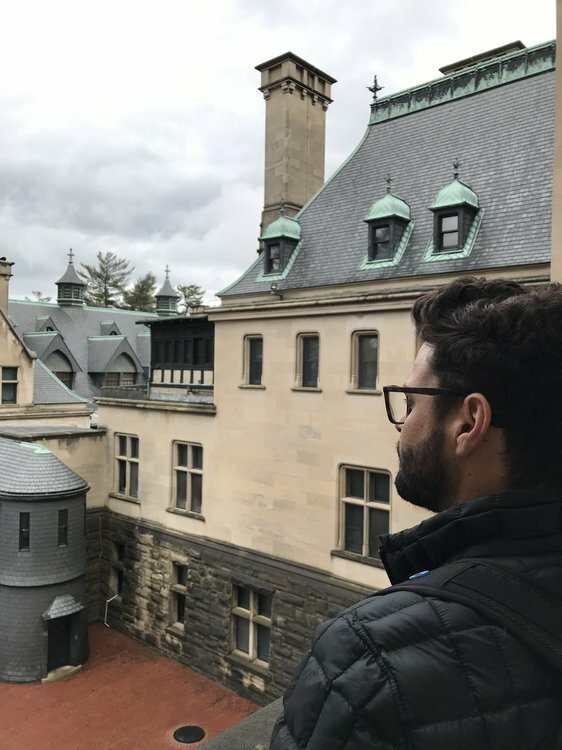 While that kind of history is all well and good (and expected of a home with such grandeur) there are more interesting stories at Biltmore. The Vanderbilt legacy started in New York so it makes sense that some of those connections would make their way down South when George was building his house. Vanderbilt commissioned prominent New York architect Richard Morris Hunt, who had previously designed houses for various Vanderbilt family member. The house to design the house in the Châteauesque style, with French Renaissance chateaus that Vanderbilt and Hunt had visited in early 1889 (Château de Blois, Chenonceau and Chambord in France and Waddesdon Manor in England) as inspiration. Hunt sited the four-story Indiana limestone-built home to face east with a 375-foot facade to fit into the mountainous topography behind so that it cannot be seen until the final turn of the driveway. I have seen many a great palaces and castles along my world travels, from Istanbul’s Topkapı Palace to Versailles I’ve seen beautiful homes nestled among breath taking views. And even still, driving up to Biltmore takes my breath away everytime. I wasn’t sure what to expect when it came to the inside of the house. Throughout the course of human history, historic homes are often underappreciated in their prime as their art and furniture get sold to the highest bidder. But not Biltmore. 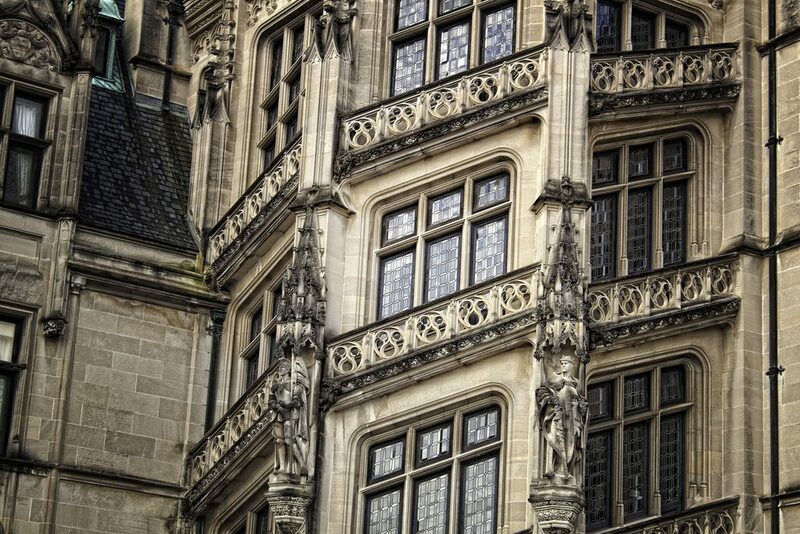 Biltmore is a history lovers dream! A perfectly preserved home whose history has been respected and is now on display for the general public to enjoy. Unfortunately, the day we visited was rather rainy and gloomy out, so we didn’t spend a whole lot of time exploring the grounds. We have plans to go back when the gardens bloom (assuming my allergies don’t kill me first! Cue: runny nose and puffy eyes). The rainy day was perfect to spend the whole day exploring the house though. And we even did 2 behind the scenes tours as add ons! In 1930, the City of Asheville asked the Vanderbilts to open the home to the public to increase area tourism amid the Great Depression. Lucky for us, they agreed and the home has been open ever since. The home was, simply put, built for entertaining. And that is the only simple thing about Biltmore! Every detail, every brick, every nail, every piece of copper wiring that holds the shingles on the roof was carefully planned. As you enter the Entrance Hall, the home’s elegance welcomes you. We were early in our arrival that day, so the house was relatively empty when we came in and I couldn’t help but imagine that we had just arrived to visit friends – our friends the Vanderbilts! As you make your way down the hall, you get your first glimpse of the Winter Garden. A glass roof with beautiful wood detailing lets light into the otherwise dark home. This is probably my favorite part of the home. Not only because it is the center of the first floor and it demands your attention but it is the perfect place to cozy up with a good book, to sketch or watercolor about, and as a lover of all plants it really just called my name. Having spent many wonderful days in St. Augustine when I was growing up, this part of the house reminded me quite a bit of Flagler College, which was also built in the Gilded Age. Following this amazing space, your tour of the home takes you to the Banquet Hall. To say the room is impressive is an understatement! With 7 story high ceilings the room saw its fair share of dinner parties and celebrations. The Vanderbilts and their guests often enjoyed a 7 to 10 course meal. Dinners were elegant affairs just like those seen in Downton Abbey. Vanderbilt was a man of innovation and when building his house he spared no expense to make sure it featured state-of-the-art systems. Through out the house (especially if you do the audio guide or some of the additional tours) you are able to see exactly how modern and up to date the home was for the time. The house was actually fully electric since the day it opened and it had central heating and cooling as well! The first floor is also where you will find the Breakfast Room which was used for luncheon and breakfast. 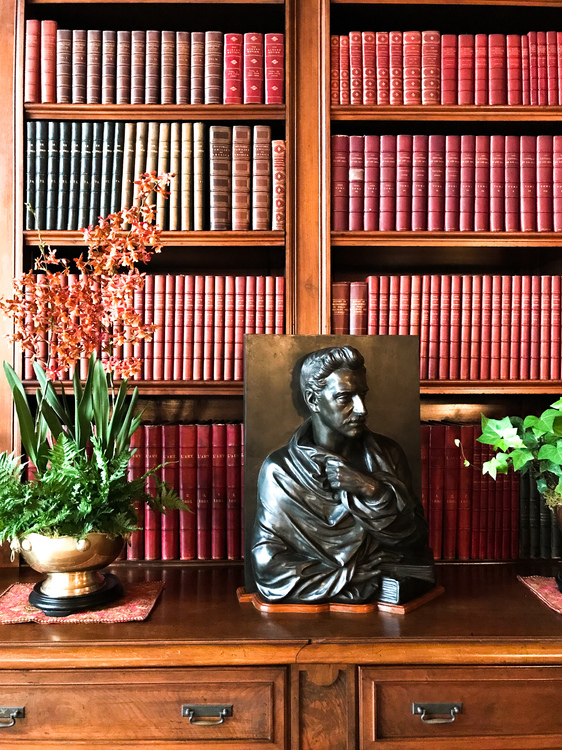 In the Breakfast Room you will get your first glimpse of the Vanderbilt family’s love of art. On display is a portrait of Cornelius Vanderbilt (the one most of us know well and founder of the family fortune). George’s father was an avid art collector and heavily influenced his son’s love of art. The Salon and the Music Room are also on the first floor along with the Loggia, a covered room with beautiful mountain views of the Estate, and the Tapestry Gallery. 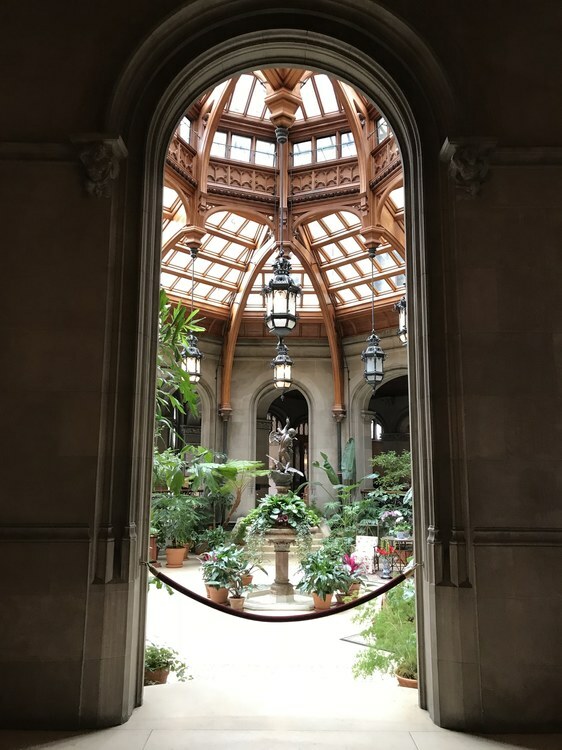 The Loggia provided an area for afternoon tea and showcased the work of Fredrick Law Olmsted, Biltmore’s landscape architect. Olmsted transformed worn-out and over worked farmland into the pastoral scenes and forests we see today, including a large part of Pisgah National Forrest. The most impressive first floor room, in my opinion is the Library. 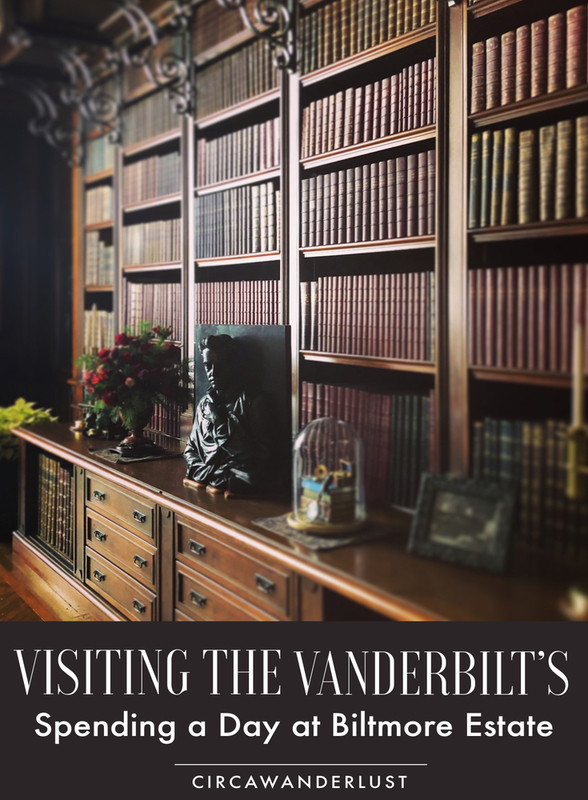 The room is a testament to Vanderbilts love of books. With floor to ceiling shelves and the roll-y ladder that we all wanted in real life from Beauty and the Beast, the room contains half of his 22,000-volume collection! As an avid reader and bookluster, I wish I could sit down and thumb through the collection with ranges in subject from American and English fiction to world history, religion, architecture, philosophy, and art. On that perfect rainy day, all I wanted to do was find a comfy chair, a cozy blanket, and make myself at home in George Vanderbilt library! As you make your way up the main staircase, you enter the private life of George and Edith Vanderbilt. Starting with Mr. Vanderbilt’s bedroom you are able to imagine what he would have been like. The millionaire who built America’s largest home as his “summer cottage” slowly becomes more real as you notice his attention to detail in the bedroom – gilded wallcovering, decorative locksets, beautifully made sconces. To me, the bedroom seemed the most royal out of everything we saw, easily fitting in with those of European Kings and Queens. I never really thought of why a husband and wife would have separate bedrooms. I always just assumed that is how it was, like Ricky and Lucy having 2 twin beds in their bedroom. 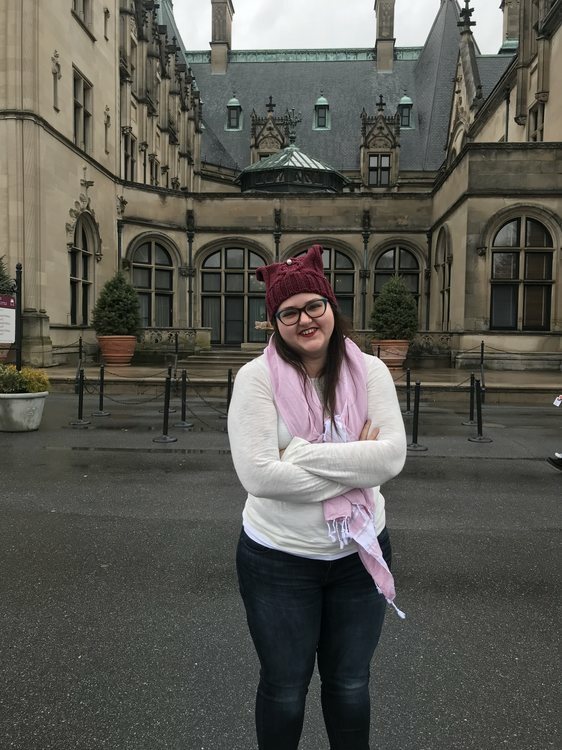 While joking with Tim that I wanted my own bedroom for when he and the dogs are snoring, one of the Biltmore Docents explained the need for individual rooms: Ladies and Gentlemen in that time had valets and lady’s maids that helped them change. For modesty and prudence, it would be challenging to have Mr. Vanderbilt getting dressed with his valet’s assistance while having Mrs. Vanderbilt do the same and not be seen by the valet. The privacy was created so that the help didn’t see the other gender in an indecent state of dress! The Oak Sitting room joins the two bedrooms. This is where George and Edith would have breakfast and planned the day. Edith would meet with the head housekeeper to discuss arriving guests, weekly menus, and plan social activities. Edith’s room is also one of my favorites from the tour. The room is oval in shape and has a feminine touch I wasn’t expecting. The decoration is also very royal feeling, but less so that George’s all red room. Edith’s room has purple and gold fabrics and Louis XV style furniture that accent the beautifully painted ceiling. Her room connects to the Lady’s Maid’s room, the bathroom, and her closet via a set of doors. The Upstiars/Downstairs tour takes you through the Lady’s Maid’s room and sewing room as well as Edith’s closet and bathroom. 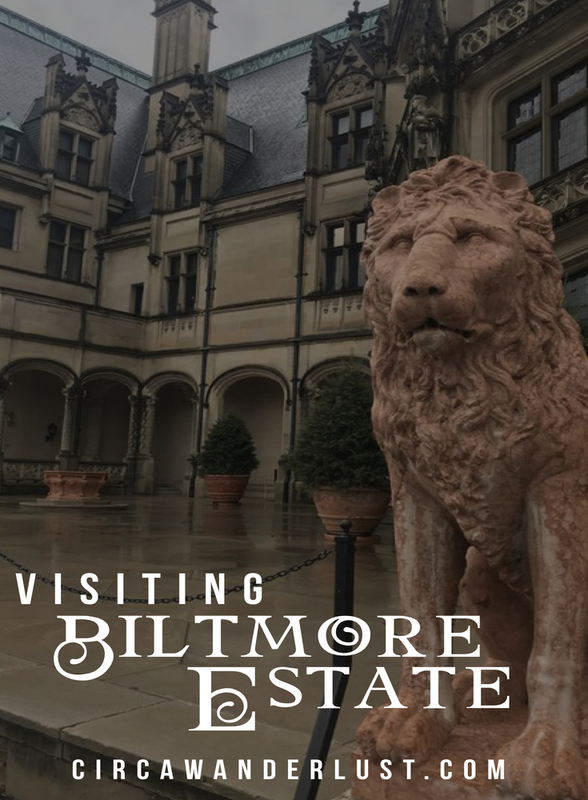 Biltmore came before coat hangers, so the closets are very similar to travel trunks. Edith’s personal closet is large enough for the whole tour group of 12 to comfortably stand while our guide told us that articles of her clothing were once individually wrapped in tissue paper and tied with a bow and that garments were only spot washed with a wet towel, never washed by submerging! In the bathroom, our guide mentions how amazing it was that the house had running hot AND cold water before most other residential structures did. During our trip we were able to catch the new Titanic exhibition at the Biltmore. 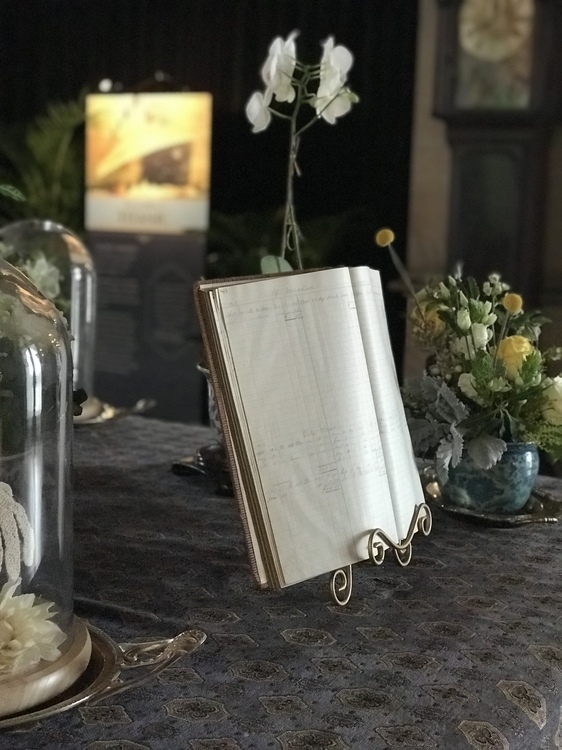 From February 9 through May 13 this year, the iconic fashion and glamour from the Hollywood movie can be seen at the Biltmore home. 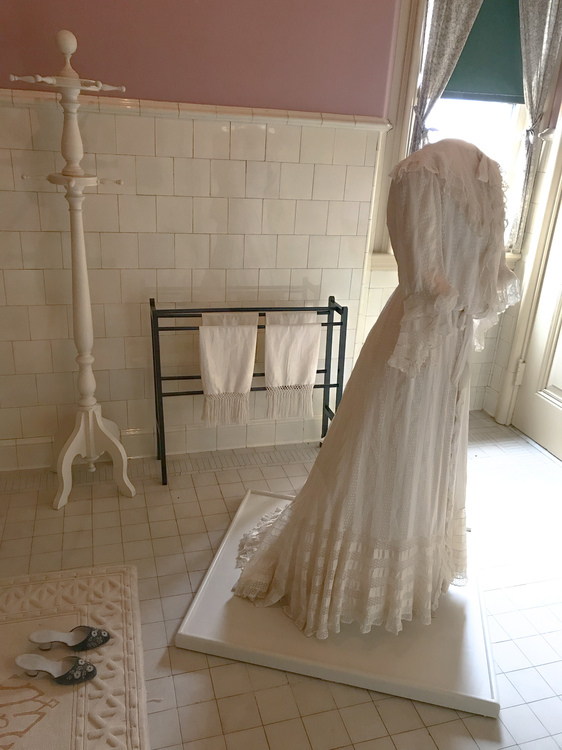 The exhibit represents the extensive and spectacular wardrobes from the movie that transatlantic passengers like George and Edith Vanderbilt, displayed in the beautiful rooms of Biltmore House. And truth be told, we had gotten tickets to go the weekend before but when I found out that the exhibit opened the following week, we decided to wait. Bilmore offers a variety of behind the scenes tours. During the exhibition you can book a 90-minute guided tour. Learn more about the Oscar®-winning costumes from Glamour on Board: Fashion from Titanic the Movie and George and Edith Vanderbilt’s connection to the ship. It was really amazing to see so many of the iconic costumes! My favorite one from the whole movie is when Rose first sees the ship, wearing a fabulous hat and looking as beautiful as ever! 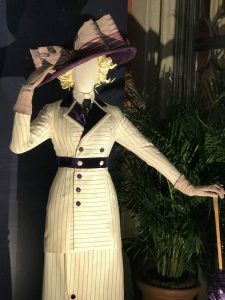 The costumes on display showcase the unsinkable Molly Brown, Cal, Rose, Jack, and even Rose’s stuck up and stiff mother as well as some of the background characters. They are displayed throughout the house and in practically every room! Tim and I did our self guided tour of the home and then headed to lunch before our 2 tours. We had packed a picnic in hopes that the rain might let up but it was pouring when we got done. The first tour we did was my favorite because it gave us a look into the inner workings of the house. 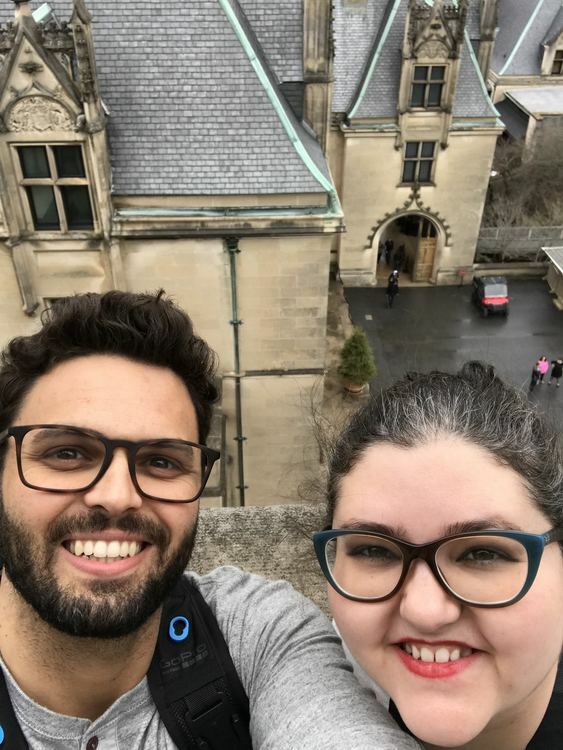 We were able to see where the servants quarters were, how they got the items from the basement where the kitchen is to the dinning room on the first floor, and more stories about how the Vanderbilts were when they lived at Biltmore. If you LOVED Downton Abbey, this is the tour for you! 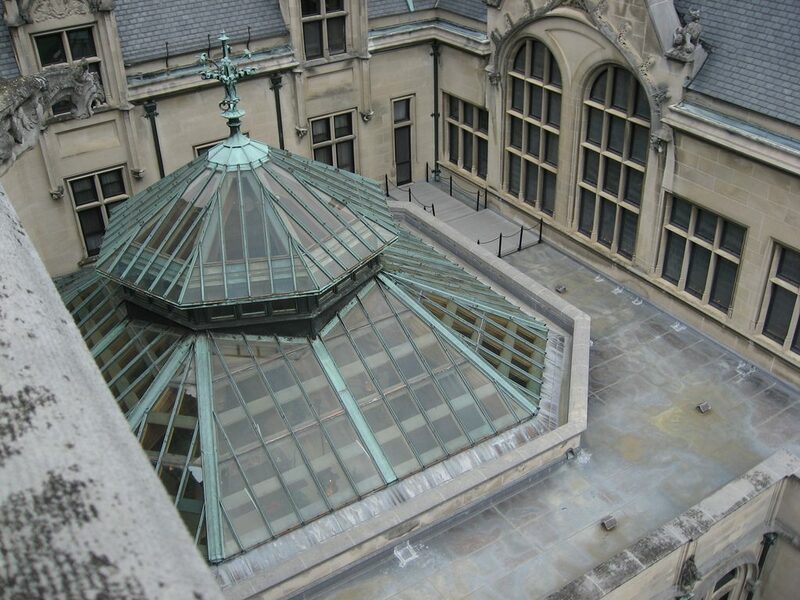 For an hour, your guide will take you through the back stairs to explore the life of the servants at Biltmore! You get to see the Butler’s Pantry and Edith’s Wing of the home (which includes the sewing room and her lady’s maid’s chambers) as well as some other areas the help frequented. The Roof Top Tour takes you straight to the rooftop. The 60 minute guided tour gives you an in depth look at the architecture of the house. You are able to really comprehend the architectural wonder that was constructing the estate. You’ll see areas of the house not accessible to the general public and end your visit atop the roof and visiting the attic. Make sure you bring a camera because the views of the Vanderbilt backyard are breathtaking. The Rooftop Tour use to be called the Architecture Tour and I think the old name is more representative of what you can expect from the tour. Though Tim and I are both really into history, to us this tour fell short. Unless you are really into architecture, he only cool thing really, is that you go to the roof and have an amazing view on a clear day. From the West Balcony you can see Mount Pinnacle, Craggy, and Black. Our tour guide told us that when George first visited Asheville and stood on the land that is now the estate, he declared that he wanted to own everything that he saw. In time, he did just that with many of the Docents pointing out a window and saying that Vanderbilt owned as far as you could see on a clear day, plus a mile out from that. TAs you look out onto one of the most amazing (and large!) 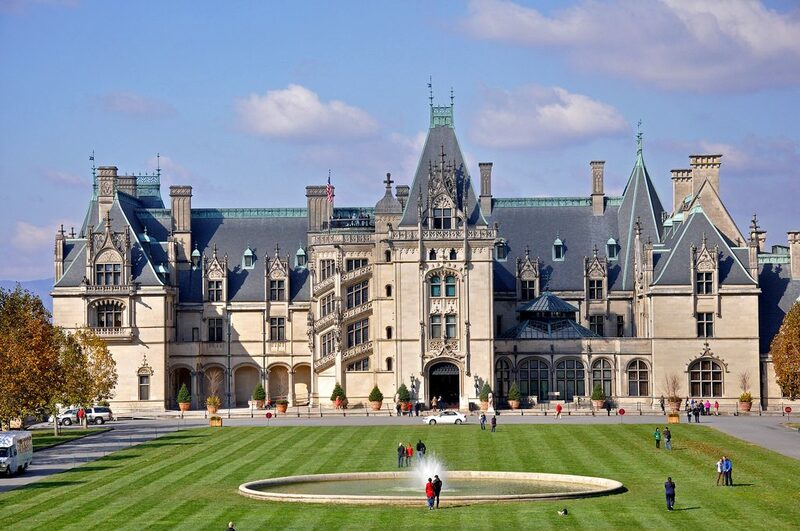 backyards of the world, you can’t help but wonder what it would have been like to visit Biltmore in its prime. As Tim took pictures of the mountains and wild turkey gathering in the opening, guide told us that the estate is actually less than what Vanderbilt originally had. Mount Pisgah once belonged to Biltmore. 86,700 acres, including Mount Pisgah, were sold to the United States Federal Government to form Pisgah National Forest.